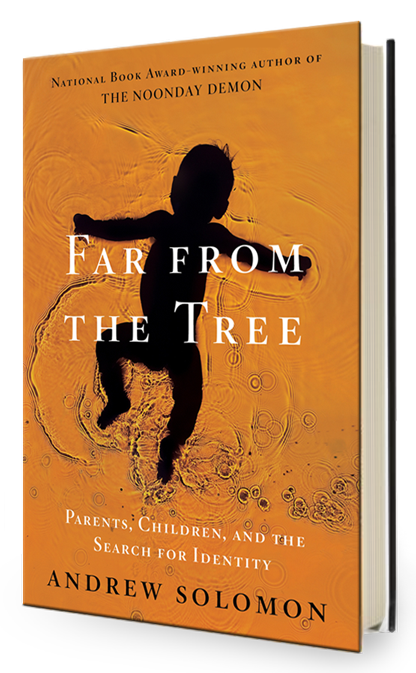 Quotes about parenting from Andrew Solomon's book Far From the Tree. Despite having already written a review of the book Far From the Tree by Andrew Solomon I find myself feeling like I must bring it up again; it is one of those books that speaks to you long after you have finished reading it. However, this time my goal is to pull you into the struggle I have been having. There are certain quotes from Solomon’s book that have been coming back to me more than others. These isolated recollections seem to be triggered by a combination of recent conversations I have had, some blogs that I frequent, as well as my experience as a husband and father. Certain quotes will pop into my mind and I find myself jotting it down in the notebook I carry with me or the Evernote app on my phone and tablet. If I write a thought down it’s because I want to write about it; I want to expand on the idea and develop the thought. However, these thoughts coming from Solomon’s book have been difficult for me to verbalize. It is kind of weird, almost like my thoughts are not happening in words but some type of concept that is several ideas wrapped together. Also, as I looked over what I had recorded there seemed to be both common threads as well as conceptual gaps. Over this past week there were at least four different times in which I sat down to write a post and as I began I changed my mind about the topic. I knew that I wanted to discuss these quotes but I couldn’t figure out how to approach them. The few approaches I thought were possible seemed to come up lacking when I stepped back to gain some perspective on them. Then it hit me. The missing element was the struggle I was having. I saw that the more I tried to create a framework the less power the quotes seemed to have. So I gave up on the framework. The quotes I have chosen to include below are all from Andrew Solomon’s book Far From the Tree. It was published by Simon & Schuster, Inc. in November of 2012 and all of the references listed are for the Kindle Edition. The first quote sets the stage for the others and is based on the premise of horizontal identities that runs throughout the book. The quotes below contain ideas that I believe to provide important insights into the experience pf parenting a child with Down syndrome or other disability. Those of us living in this reality often fight internal struggles. These are struggles over things like accepting our kids as they are or if we should push our kids to do more, to stretch their abilities. I don’t believe that many of life’s big questions like this have singular answers that work for all but we all need to arrive at an answer. What is your answer? If you don’t have one I understand but maybe we can talk about it together. Please let me know what you think about all of this. The timeworn adage says that the apple doesn’t fall far from the tree, meaning that a child resembles his or her parents; these children are apples that have fallen elsewhere – some a couple orchards away some on the other side of the world. Yet myriad families learn to tolerate, accept and finally learn to tolerate, accept, and finally celebrate children who are not what they originally had in mind. Parents’ expectations “invariably include that the child will be able to surpass, or at least attain, the parents’ level of socio-cultural accomplishment.” He continues, “When the child does not conform to this image, the parents often need help in adapting their behavior to the reality— they must learn to cope with the dissonance between their image of ‘a child’ and the reality of ‘their child.’” The tension often has less to do with the severity of the child’s disabilities than with the parents’ coping skills, the dynamics among healthy members of the family, and the importance the parents place on how people outside the family perceive them. It is always both essential and impossible to tease apart the difference between the parents’ wanting to spare the child suffering and the parents’ wanting to spare themselves suffering. The problem wasn’t that she wanted to control my life— although she did, like most parents, genuinely believe that her way of being happy was the best way of being happy. The problem was that she wanted to control her life, and it was her life as the mother of a homosexual that she wished to alter. Unfortunately, there was no way for her to fix her problem without involving me. Michelle Smith, a financial adviser at Wachovia Bank, is a perfectionist, and it is not easy for perfectionists to have children with disabilities. She has displaced her perfectionism onto mothering; if there is a perfect way to handle having a child with a disability, Michelle Smith has found it. She has even done a perfect job of renouncing perfection. The more privileged woman had spent years futilely trying to make her son better. The less advantaged woman never thought she could make her son better because she’d never been able to make her own life better, and she was not afflicted with feelings of failure. The first woman found it extremely difficult to deal with her son. “He breaks everything,” she said unhappily. The other woman had a relatively happy life with her son. “Whatever could be broken got broken a long time ago,” she said. Wealth and ability are both relative concepts. There are broad spectra in all these areas, and wide, shadowy borderlands in mental and physical disability as there are in socioeconomic status. A broad range of people can feel rich— or able— in relation to the context they live in. When a condition is not stigmatized, the comparisons are less oppressive. I haven’t read his book (it is on my list), but I did watch his TED talk. Truthfully, I had a hard time with it, and the first quote you pulled very much sums it up. His entire paradigm he has set up that some children fall *far* from the tree frustrates me. I know that many of us (I did for sure) thought that we were having a child car from our trees when we first got our diagnoses, but I’d be hard pressed to find a parent who actually has persisted in that thought, which makes me want to examine it. I will speak for myself and say that what I realized after my initial period of surprise and sadness was that I had *erroneously* thought that by having Ds, my child was going to be significantly different, or “other” than what I’d originally expected. I’ve since come to understand that our society’s entire way of viewing humanness, ability, beauty, worth is terribly sad. And in that understanding I have realized that my son very much falls quite close to my tree. There’s nothing about Ds that sets him apart from our family at all. During the TED talk he gave I found myself loving what he said, and then hating it, because no matter how inclusive and thoughtful he was, there was a undeniable foundation logic that parents “learn” to love their children “despite” their disabilities, differences, whatever. In fact, when he shared his anecdote about thinking his son may have a disability, the moral of the story was that it turned out to be much ado about nothing. In one breath, he insisted that he had been prepared to join the families he’d written about, but also reaffirmed that he was relieved not to have done so. It was subtle, but over and over again, I felt like he viewed the people he’d written about as interesting subjects for him to ponder, learn from, and analyze, and then put away. Those are my rambling thoughts. Of course, I might feel completely differently once I read the book. I don’t know if you will feel differently or not after reading the book but I am not sure that is the point. I believe it will cause you to see things differently even if you disagree with the author. It was a tough read for me which is why I am still talking about it so many months later. As I was eating my cereal this morning I was able to watch my 8 year old little girl sleeping on the couch. I am not sure why she was there because I tucked her into her bed last night, but that is beside the point. As I watch her I began to think about the important role she will play in Treyton’s life as she is his next closest sibling in age. I must have been in somewhat of a reflective mood because then the thought crossed my mind that I will know what it is like to have a child with Down syndrome and Lindyn will know what it is like to have a brother with Down syndrome but neither of us will ever know what it is like to have Down syndrome. That is the premise of the book. I will be the first to tell you, and I have written about it on more than one occasion, that Treyton is all “Arnold.” He is my boy in looks and actions, I will never be able to deny it! As far as the author indicating that parents don’t love their children at first but learn to later, well, I guess I didn’t see it that way but I may have ignored it. To me it fit with what I hear so often. How many times have you heard about parents being devastated about the diagnosis? That was never me but it seems to be common. Part of the value of the book is how the author uses so many different “identities” as part of the discussion. I found the chapter about the deaf community to be enlightening. Your comment about the subtle view by the author of viewing families like mine as interesting subjects to study and then put away may not be too far from the truth. Yet, the entire first chapter of the book talks about his own life and how his parents struggled to understand and accept his own horizontal identity. In so doing, he put himself in the same camp as us. Hey, Jisun, I really want to thank you for your comment. I really appreciate the fact that you don’t blindly agree or disagree. If I am looking for a person to agree with me I could look in the mirror. Also, there are things in this book that I really don’t agree with but I am good with that. I don’t even think I could write a book myself that I would totally agree with! P.S. I am currently reading the book “The Unfinished Child” that you mentioned. The picture of the institutions of the past is very disturbing. I felt this tension as well during the TED talk between “getting it” and then not, perhaps due to seeing us as mostly subjects to be pondered. He so eloquently drew on his experience being gay, but when it came to that last leg of his discussion of disability and difference, he didn’t make it over the finish line for me. Still felt like he was putting everyone else in a “over there” box, for the rest of the world to learn from, but not be. Ok, ok, I’m going to read the book. Why I persist in trying to discuss before reading the thing, I don’t know! Hopeless. You are the second person to mention the TED talk so I downloaded it to watch when I get the chance. No book or author will have it all right but the book did give me a lot to think about. As far as The Unfinished Child, well, I have actually found myself cringing at certain places in the story because I knew what was coming and didn’t want to go there. I will let you know when I am done. I just downloaded Far From the Tree, so I’m looking forward to seeing these quotes in context. My wife and I have been having this conversation a lot lately; mostly in the context of the older boy (Yankee is 11 years old). He has an incredible ability to apply himself when it comes to playing baseball, and will work hard to learn a new skill, reach a goal, or achieve something else on the field. Off the field – in school – he does just enough to get by. My wife thinks we should push him harder and set higher expectations in the classroom; I think that as long as he is happy with how he is doing, and he has the basic skills to function in society, he should walk his own road, even if that means that he’s not reaching anything close to his academic potential. What was interesting about those quotes is that they made me wonder if my wife and I were each projecting what we wanted as children onto Yankee. She wanted someone to push her harder, and I wanted to be left to figure out my own path; those desires are reflected in what we want to do in Yankee’s situation. I don’t know that I have anything insightful to add, other than to thank you for the “brain-worm” with a few of those quotes…they are stuck in my head now, and I haven’t read the book yet. lol. 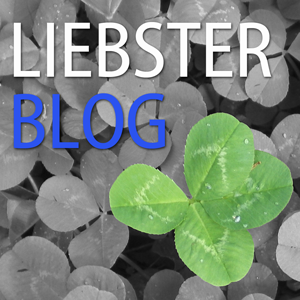 Thanks for the brain food in this post! Good luck to you and your wife as you figure out how to best parent Yankee Bird. It is that type of parenting struggle that propels me to say that raising a child with Down syndrome is not so different – each child has unique (special) needs that we as parents need to adapt to. I like the book but be warned that I considered it a difficult read and there were some personal opinions I needed to set aside in order to get to the point of the book. You will know what I am talking about after the first chapter. I look forward to hearing what you have to say about the book.